Looking to move out of the office or home? Looking for strong moving boxes that could help in your moving without any hassle? Then Hire a Box may be just what you need! We provide the option to hire or buy moving boxes all around Adelaide metro area! Convenient and reliable service is what we aim for—so we offer delivery services to get the moving boxes to your door, faster! Did you know also deliver 6 days a week in Adelaide? Plus with our 2 hour delivery window of your choosing, you will know exactly when your order will arrive directly to you door! Hiring boxes is the most economical option as long as you have the boxes collected within the 3 months maximum hire period & live in the Adelaide metro area. If you are moving to a suburb outside of the Adelaide metro area or you need to keep your boxes for longer than 3 months then it is cheaper for you to buy boxes instead of hiring them. Hiring moving boxes in Adelaide saves you up to 30% on what you would pay most Adelaide removal companies for their boxes. 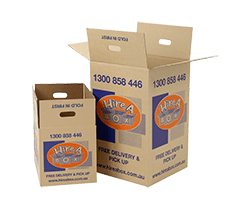 Save with Hire A Box Adelaide! You can choose to hire or buy your packing boxes. Hiring is cheaper and better for the environment. You also don’t have to worry about disposing of the boxes when you have finished with them, we will come pick them up from wherever you have moved to in the Adelaide metro area. Our packing boxes are extra strong, made from good-quality cardboard. They don’t collapse and tear like some of our competitors’ boxes we have seen. Call up in the morning to see if we can deliver your storage boxes the same day, or book online for next day delivery. Choose a convenient 2 hour delivery window so you don’t have to wait around all day. We can also leave them at your front door if you won’t be home. Hire moving boxes for up to 3 months from the order date and you’ll get your deposit back. If you need the boxes for more than 3 months, we recommend buying the moving boxes outright, as this will be cheaper for you. The packing boxes we rent out are made to industry standards so they’ll be able to handle whatever storage purposes you throw at them. Choose to hire our moving boxes or buy new or second hand boxes. 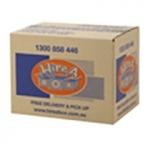 Thousands of happy customers have enjoyed hiring our second hand cardboard boxes in Adelaide. Want to learn more or see what our customers have to say? Why not read our facebook reviews! The cost of buying our moving boxes is relatively cheaper than buying them from other removalists or packing supply companies. You have the option to rent moving boxes as well, helping you save around 30% off the cost of moving! We also sell archive boxes in Adelaide. Here at Hire a Box, we are constantly driving towards a clean and green environment. This means that recycling and reusing is important to us. Our packing boxes are recycled and reused. All the same, we make sure that our boxes go through a quality check before they are handed over to customers. Once you order the moving boxes we’ll try our best to get them to you as soon as we can. 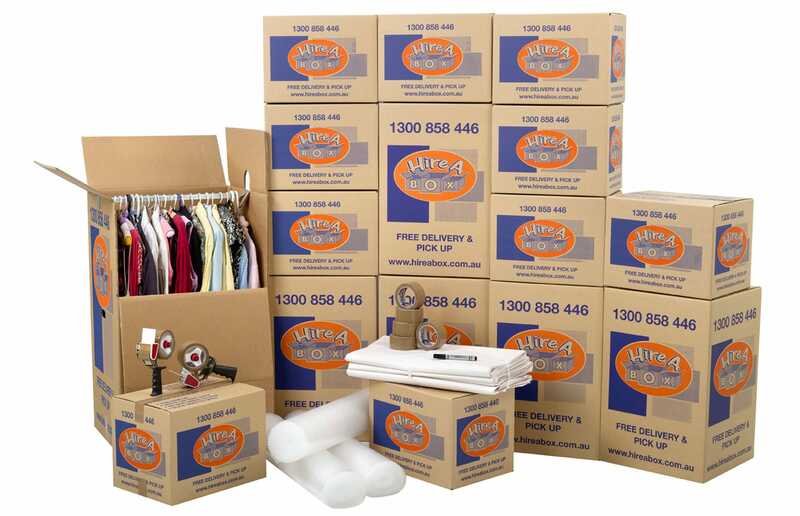 Our cheap moving boxes can be delivered anywhere around the Adelaide metro area. You can order online or via telephone for urgent deliveries. A free delivery is also offered for the first top up order and first pick up. Hire $65 or more worth of moving boxes or tape dispensers and the moving boxes will be delivered for free! Alternatively, buy $99 or more worth of moving boxes and there will be no delivery cost. This also applies for the first top up order and pickup. Did you know that Hire A Box can deliver your Adelaide packing boxes on the weekend too? Just choose a 2 hour time slot so you don’t have to wait around all day and our drivers will drop them to your door. How convenient is that! We stock the most popular options for moving boxes including porta-robes which make packing your wardrobe a lot easier as it offers a timely and effective solution for your wardrobes. We also have the large and medium moving boxes that are suitable for lighter bulkier items such as pots and pans and the medium boxes suitable for packing and storing heavier items such as books, crockery and glassware. Hire a Box also offers a variety of packing materials for your moving needs. Orders made online or via phone are accessed easily and securely through eWAY. We accept Visa and MasterCard ONLY. You also have the option to pay our drivers with a cheque on delivery. Online bookings can be made 24 hours a day while phone orders can be made from 9am to 5pm on weekdays. Delivery of the Adelaide packing boxes will arrive within one day of booking, or on the day and time that you have allocated for them to be delivered. We deliver throughout Adelaide, Australia’s fifth largest city and home to 1.2 million residents. This city is located North of the Fleurieu Peninsula on the Adelaide Plains where it stretches 20 km from the South Coast and 90km from Gawler in the North to Sellicks Beach in the South. Need an Adelaide Removalist? We have the perfect solution for you! 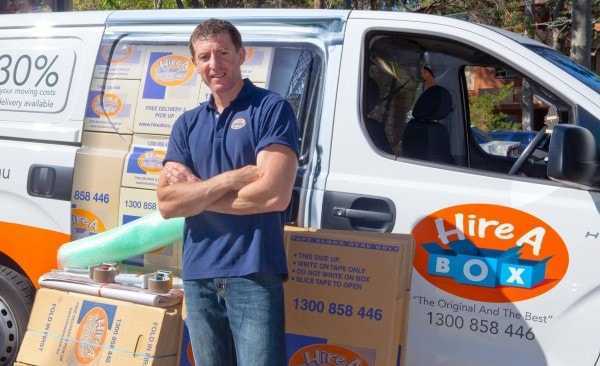 Hire A Box is part of the Hire A Mover group which means you are entitled to use the Hire A Mover removal service and benefit from this as a preferred customer. Hire A Mover offers a cost-effective and professional Adelaide removalist service, and when you take boxes from us and move with Hire A Mover, you are entitled to a 10% rebate on what you spent on the boxes! Simply ask our staff for a quote or tick the checkbox about a removal quote when checking out on the order page. We offer your boxes for moving anywhere in the Adelaide metro area. So if you’re thinking about moving or for all your packing and storage needs, look no further than Hire a Box. You can buy or rent moving boxes to suit your needs with no hassle! So what are you waiting for? Start packing tomorrow by ordering your boxes online now! I have used Hire A Box three times now and they make moving so easy. The boxes are delivered to your door, they stack perfectly once packed so when the removalist comes it's easy and quick to get going. Then when your done ( and you have three months ) its a phone call and they pick everything up. You don't even have to be home. You can order paper and bubble wrap everything you need really, great for when your busy it's took the stress and hassle out of moving! Great professional service, highly recommend and will use again on my next move.Thank you for making it so easy.